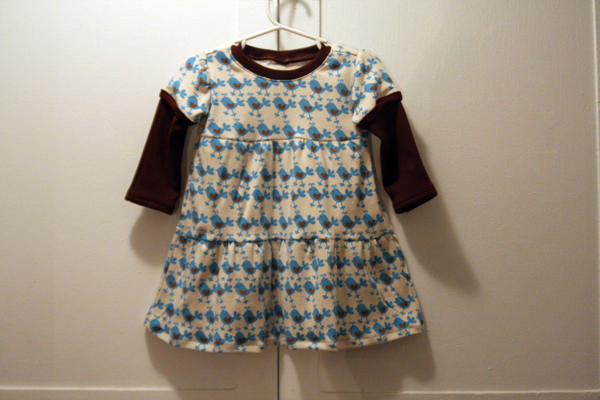 I made my first dress WITHOUT a pattern. It turned out great and I can’t wait to grade it into other sizes. The modeling picture. I wanted to get better pictures, but we were lazy yesterday and Mari was too busy to sit still.